The militants 26 times violated the ceasefire. 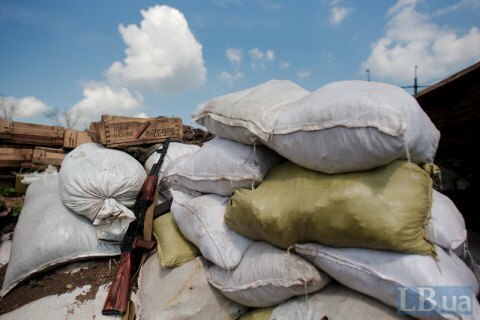 Over the past day the illegal armed groups in Donbas 26 times broke the truce. The ATO headquarters reported no casualties among ATO troops on Sunday. The Ukrainian military on nineteen instances returned fire, ATO HQ said. By the end of the day, the militants increased the intensity of shelling, mainly using grenade launchers and small arms. In the Donetsk sector, the enemy fired after dark different types of rocket-propelled grenades and heavy machine guns at the enemy positions in Avdiyivka, Pisky, Mayorske, Luhanske, and Butivka coalmine. The Ukrainian military fire suppressed the enemy's shelling attacks. In the Luhansk sector, Russia-backed occupation groups within several hours four times opened fire from 120- and 82-mm mortars, various types of grenade launchers, machine guns and small arms at the defenders of Krymske. ATO positions at Tryokhizbenka and the outskirts of Novooleksandrivka and Popasna have also been under fire. In the coastal sector, the intensity of enemy attacks somewhat subsided in the evening. However, at about 20 pm, militants used automatic grenade launcher on the outskirts of Maryinka. On 7 October, the illegal armed groups 19 times violated the ceasefire in Donbas. As a result of the fighting, one Ukrainian soldier was wounded. On 11 occasions, ATO forces returned fire.